"Welcome to the tutorial for the Glorious Autumn Block party. 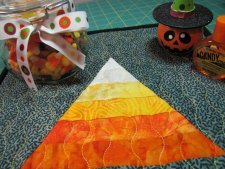 Michele at the Quilting Gallery asked me to design a block for this fabulous party and all I could think about was candy corns!! So that is the block I designed. "Here are a few details that you need to know before we get started. Head over to the Quilting Gallery, you will find a designer profile of little old me and some answers to some questions that you might find interesting to know about me!! 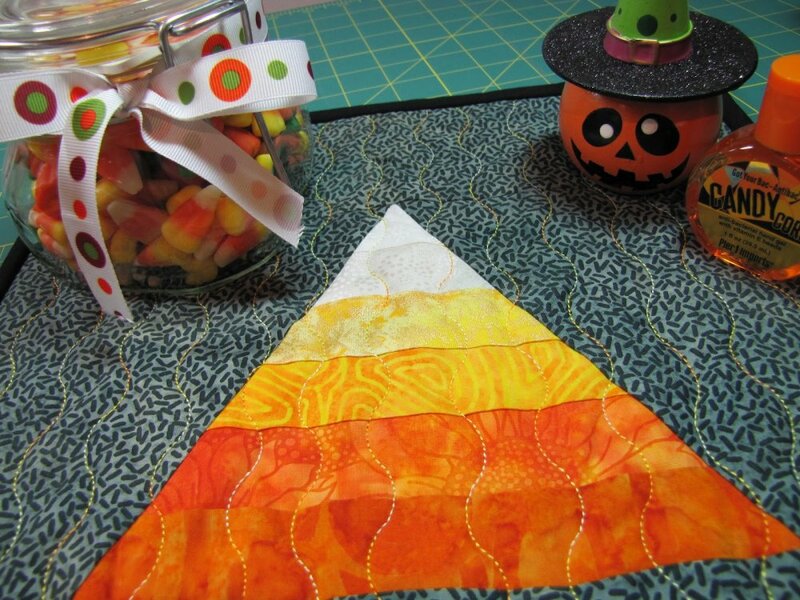 You will also find a quilter's Super Deal today. 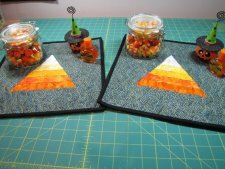 Then this week there will be two more blocks from Vicki at The Quilting Lodge and Jovita's Patchwork Atelier. "And then don't forget to go to the Flickr group and see ALL the blocks from participants and designers. Don't forget to post your candy corn block too!! Oh yea... there is a GIVEAWAY at the end of this tutorial too." Please note, that at the bottom of her article, Jackie has provided a PDF version you can download and print!